PALM BEACH COUNTY, Fla. — Missing the talks is one of the things Vanessa Lee treasured with her mother, Maude Ford Lee. She died Sunday at the age of 82 from bile duct cancer. "She was probably the most humble, honest giving, caring, loving." Lee was known as a civil rights activist. She was by her late husband’s side, Percy Lee, when he ran The Urban League of Palm Beach County. Vanessa says her mother helped the less fortunate. "She gave them all of the food out of our house. I never would question like why are you doing that, it was obvious why she did it. Because somebody was in need." She also became Palm Beach County’s first African-American commissioner. Lia Gaines worked for her. "I stepped in and I worked with her as an administrative assistant. She was conscious of the community. So, she elevated what could potentially happen and that's because she worked hard at it, and she always did the follow-up," said Gaines. Family and friends are feeling the loss of a woman who impacted so many lives. Dr. Debra Robinson is one of them. "Steadfast determination and leadership. 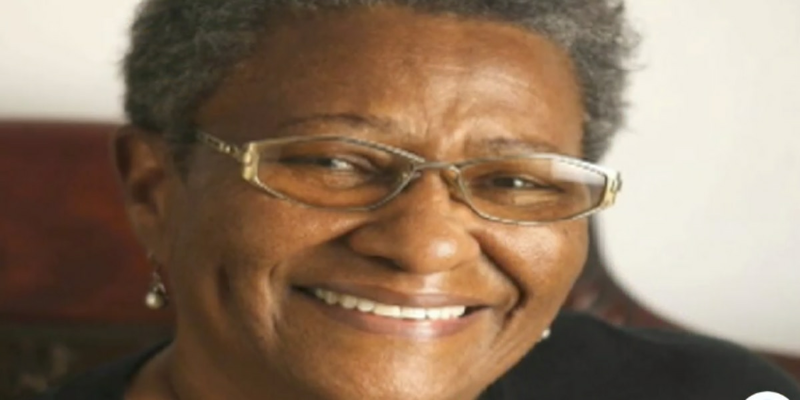 She always fought for those with few blessings," said Robinson. Lee’s nephew Charles Ford Jr. looked up to his aunt. "She opened her heart to everybody, basically me as bad as I was back in the day," said Ford Jr.
She leaves behind a legacy for future generations, including her daughter Deborah Lee Pennick. "Be inspiring to someone else so that's her legacy. Be an example for everything that you do," said Pennick. "And every walk, the things that you do, do them to the best of your ability." Lee was also a charter member for the National Coalition of 100 Black Women West Palm Beach Chapter. Lee’s funeral is next week after the Easter weekend.